MULAGO – Barely eight months after its commissioning, the new Cobalt-60 radiotherapy cancer machine at Uganda Cancer Institute (UCI), Mulago hospital is already experiencing a technical glitch and could go off for days. 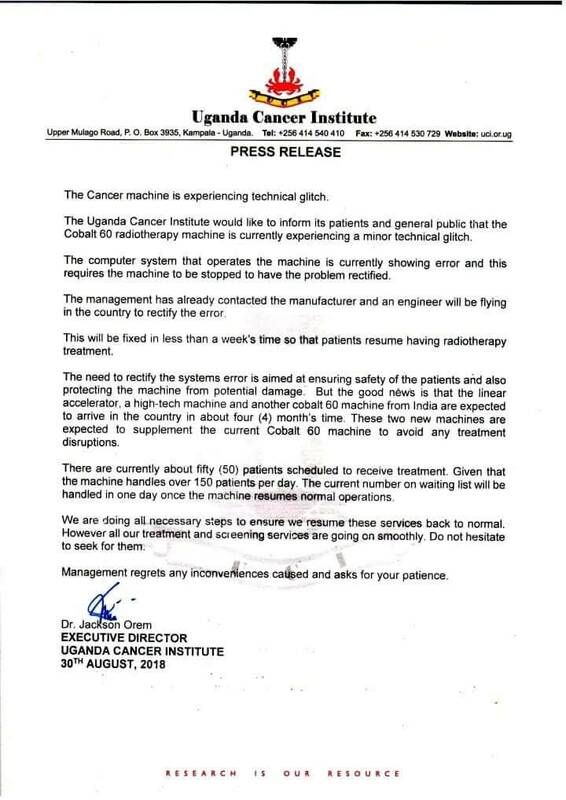 This is the second time in less than two months the Cobalt 60 machine is experiencing a glitch and closing down for days after it again closed in June this year. This means the about 50 patients that have been on treatment at UCI will have to do without radiotherapy treatment as it undergoes servicing, PML Daily has learnt. The Shs.2 billion machine was commissioned by the Prime Minister, Dr Ruhakana Rugunda, on 19 January, replacing an old one that was installed more than 22 years ago, which crashed in March 2016. “UCI would like to inform the patients and the public that the Cobalt-6O radiotherapy machine is experiencing a minor glitch and management has already contacted the manufacturer and the engineer will be flying in the country to rectify the problem,” reads the press release signed by Dr Jackson Eremu, the executive director UCI. “This will be fixed in a less than a week’s time so that patients resume their radiotherapy treatment,” added Dr Eremu. He explained that the need to rectify the systems error is aimed at ensuring the safety of the patients and also protect the machine from potential damage. He revealed that the good news is that the linear accelerator, a high tech machine and another cobalt 60 machines from India are expected to arrive in the country in about four months time. “And these two machines are expected to supplement the current Cobalt 60 machine to avoid disruptions in treatment,” he added. He said with guidance from the manufacturer, the operations of the machine had been scaled down in preparation for its periodic servicing which is scheduled for this week. Dr Eremu explained that the Cobalt 60 machines handle 150 patients per day and the about 50 patients that were scheduled for radiotherapy will be handled in one day once the machine resumes work normally. “We are doing necessary steps to ensure we resume these services back to normal but treatment and screening services are going on smoothly, management regrets any inconveniences caused,” reads the press release in part. “The machine is still under warranty and therefore servicing is done for free by the manufacturer,” Dr Eremu added. A senior medical physicist at the radiotherapy unit based at the UCI, said technically the machine requires to scale down its operations if it is due for service. 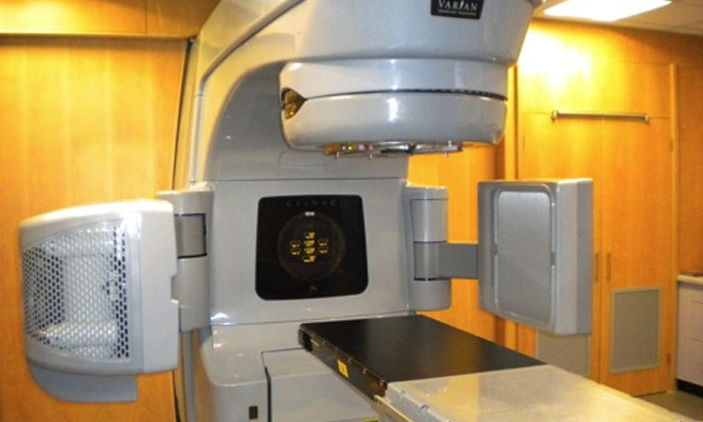 Cobalt 60 cancer machine was shipped from Czech Republic through Mombasa port with guidance of the International Atomic Energy Agency (IAEA), a United Nations body that regulates the use of nuclear and atomic energy. And it was purchased at 642,000 euros (more than Shs2.7b) by both government and IAEA, the machine replaced the old cobalt 60 radiotherapy machine, which broke down beyond repair on March 27, 2016.